Social media updates from Star Tribune staff and others from Saturday's game between the Gophers and Northwestern. We'll be here from before kickoff through the final play. Punt was final play of the first quarter. Northwestern gains 3 yards on possession and has to punt from its 7. #Gophers get by at the Wildcats 49 after fair catch by Douglas. #Gophers Jacob Herbers hits 58-yard punt that goes out of bounds at the Northwestern 4. Morgan's arm was coming forward in passing motion. Call overturned. It's an incomplete pass. #Gophers will punt. #Gophers QB Tanner Morgan hit by Earnest Brown IV. Northwestern recovers fumble but play is under review. Northwestern kickoff goes out of bounds. #Gophers get the ball at their 35. 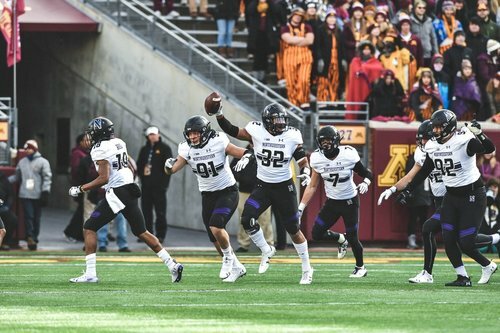 Northwestern takes 7-0 lead over #Gophers with 2:20 left in first quarter on Isaiah Bowser's 2-yard TD run. #Gophers Tanner Morgan intercepted by Nate Hall at Minnesota 45. Pass intended for Tyler Johnson. Teague and Renner win up front and STUFF Northwestern on third-and-short! Back-to-back stops for no gain by #Gophers forces Northwestern to punt from the Minnesota 47. Gophers take over at their 20 after touchback. Northwestern's Nate Hall intercepts a Tanner Morgan pass intended for Rashod Bateman. Wildcats take over at their 16. First down to Johnson out of the slant. Cashman comes up with a big third down stop and Douglas takes a punt return 19 yards! #Gophers will start their second drive at their own 43-yard line. Nice play from Cashman on third-down completion, forcing punt. Blake Cashman's third-down tackle of Flynn Nagel forces Northwestern to punt. #Gophers Demetrius Douglas returns punt to Minnesota 43. #Gophers get one first down on their first possession but have to punt. Northwestern takes over at its 25. #Gophers start at their 16 after 15-yard return by Douglas. The #Gophers lose the coin toss for the 8th time this season and will receive. 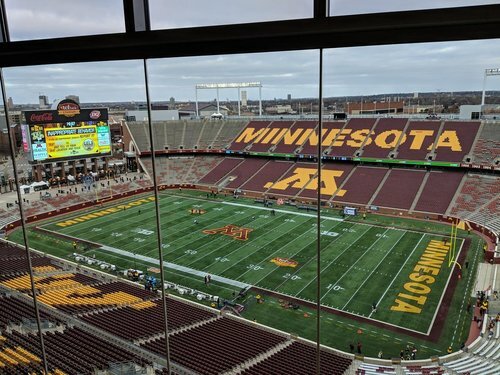 Minnesota won after losing the toss last week. Northwestern wins opening coin toss, defers to second half. #Gophers get the ball first. 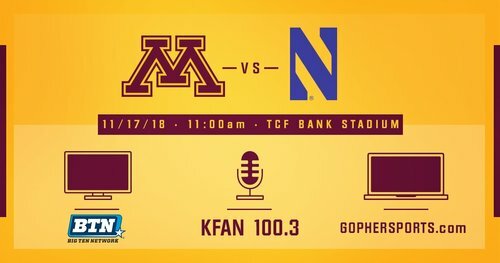 Really interested to see how many Gopher fans show up today. Team is coming off an impressive win, one more gets them into a bowl. Right now, there are a few dozen people in the stands other than the band. Here's a little pre-game reading for you: Gophers kicker Emmit Carpenter's legacy: Selflessness and record-setting accuracy. #Gophers will be without DTs O.J. Smith (head) and Royal Silver (undisclosed) and DB Antonio Shenault (head) because of injuries.